Lisboa Pessoa Hotel is more than just a simple hotel. It’s the point of departure for a trip that makes it possible to get to know Fernando Pessoa’s work and Portuguese culture more closely in the heart of the Lusitanian capital. 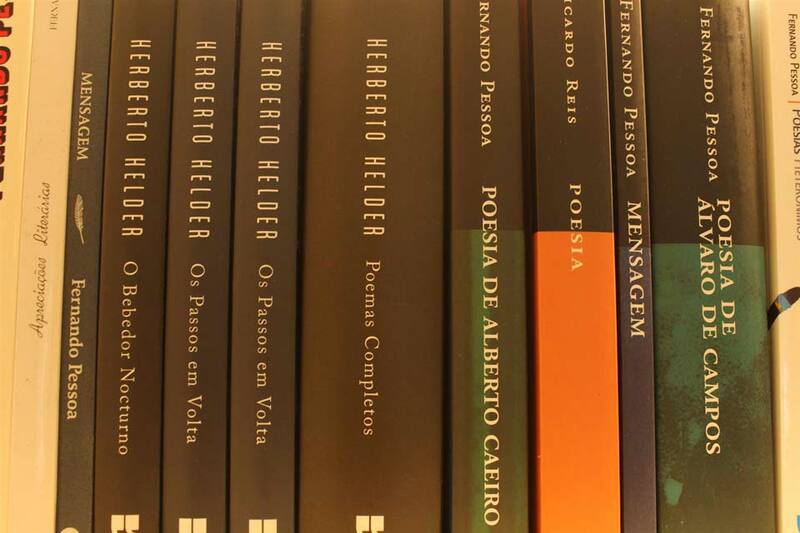 The Fernando Pessoa Library, located in the Hotel’s Bernardo Soares Room (floor 0), contributes to this experience with its collection of hundreds of books in several languages, which may be read by hotel guests and are even topics for social and literary gatherings. Several hundreds of books constitute the nucleus of the book collection, dedicated mainly to three topics: Fernando Pessoa; Lisbon and tourism in Portugal; and Portuguese culture and literature. The English, French, German, Spanish, Portuguese, and Italian languages are represented. There are even children’s books. Fernando Pessoa Library was inaugurated in 2018, and its catalog is in continuous expansion. Currently, its major focus is on Fernando Pessoa’s work in poetry and prose, which is even available in the best translations into other languages. 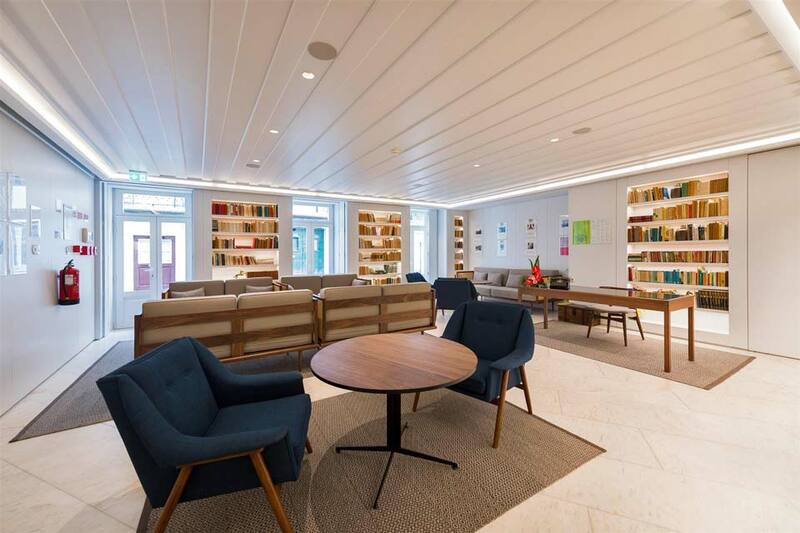 All guests at Lisboa Pessoa Hotel may consult and read the books in the library itself, the hotel rooms, and outside the hotel, as long as they register the loan in person at reception. A digital catalog and loan service will soon be available. Do you want to deepen your understanding and the magic of Pessoa directly in Lisbon by reading dreamy passages from the Book of Disquiet through the city streets? Do you want to doze off after reading a poem by Pessoa? Do you want to go to the beach with a book by Pessoa or Saramago, or even visit the magical village of Sintra with an official tour guide in hand? In any case, you won’t need to bring books from home or even purchase them, because at the library in Lisboa Pessoa Hotel, you will find the volumes for all these solutions. Your cultural, literary touristic experience in Lisbon is just about to begin at Lisboa Pessoa Hotel! Fernando Pessoa Library is more than just a library. 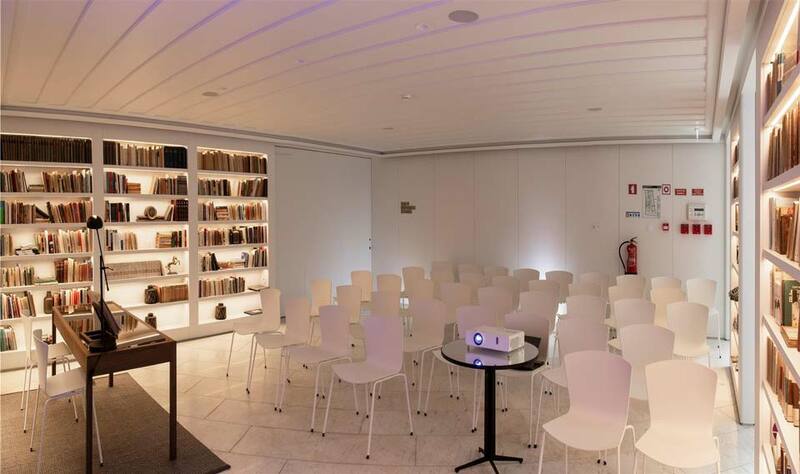 Located in the elegant, comfortable spaces of the Bernardo Soares Room, on floor 0 of Lisboa Pessoa Hotel, our library is the ideal place for events such as social gatherings, book launches, art exhibits, musical events, and cultural lectures. In fact, Lisboa Pessoa Hotel has an events schedule open to hotel guests and, in some cases, the general public. The calendar of events began in 2018, and information will always be available and distributed at the hotel. Also, in the future we will inaugurate a BookCrossing service, with a special shelf in the Fernando Pessoa Library, where guests may take and/or leave books during and at the end of their stay.